Most software nowadays is localized in order to be available on larger markets. If you plan to develop your software in several languages, or if you plan to start developing the software in your own language and afterwards in other languages for foreign markets, it’s best, from the very beginning, to take into account certain localization and translation issues. Software translation may seem redundant, but due to the vast amount of software, and the text within this software, translations are a necessity. The effect of the service TRANSLIT provides would be seen if a warning or an update is displayed. A user would need to see it in a language they can speak in order to comprehend and then use the software. 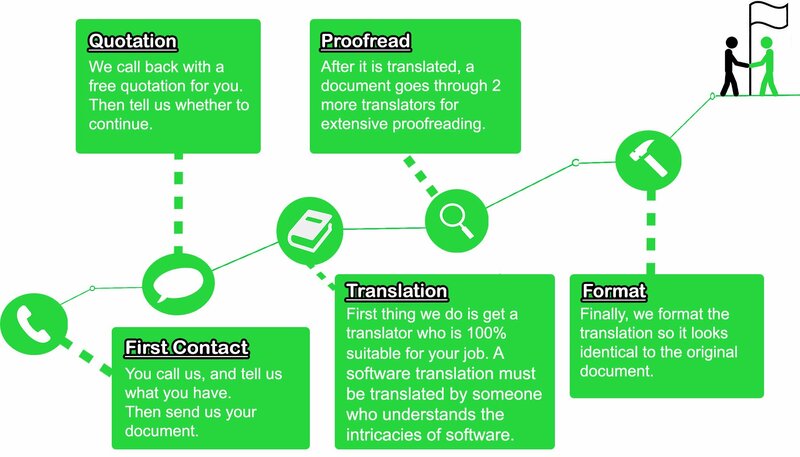 TRANSLIT offers software translation for most major languages. Our software translation team has expertise in numerous programming languages, database design, development and multilingual ability. We can translate software for educational materials, gaming, computing and, of course, PC Programmes. Our final software translation will be perfectly adapted for your target language. As a company, we currently cooperate with almost 200 translators and interpreters from all over the world thereby assuring translation into over 70 languages at a native level.